I love ads. No, really – I do. I watch movies for the previews, I watch TV for the commercials (OK, I watch the Super Bowl for the commercials). As a marketing consultant I pay attention to ads in a way that most people don’t. I save ads. I have a portfolio of business cards. 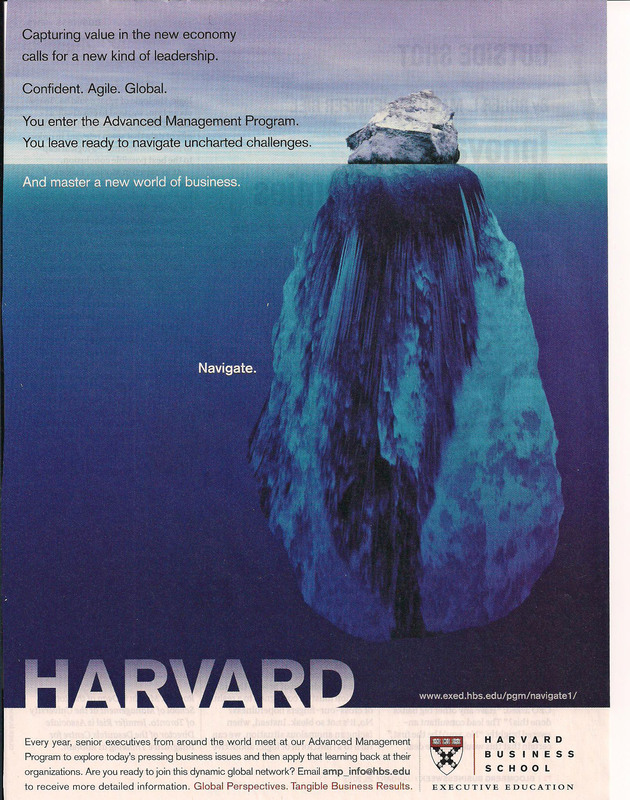 I have a file folder of my favorite direct marketing pieces, magazine ads, and newspaper ads. 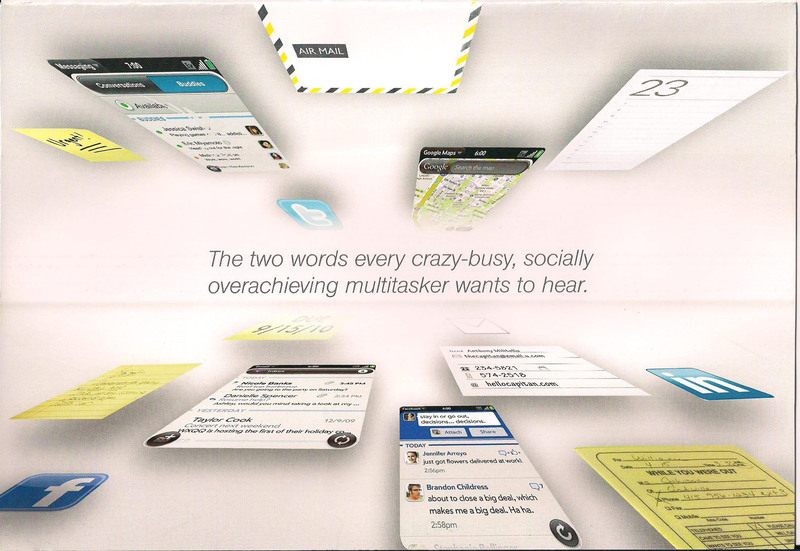 I love ads that make me laugh, ads that I can relate to, and ads that really grab my attention. I recently wrote a blog post About Business Cards. As I was flipping through my business card portfolio one word came to mind, “boring.” So many cards were dull and looked just like the one next to it. 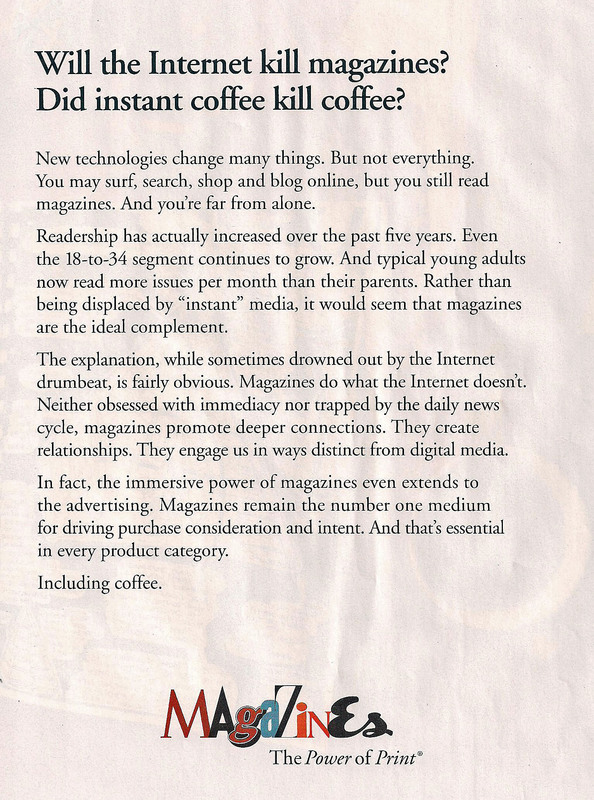 In this over-communicative era, it is more important now than ever that your ads stand out! 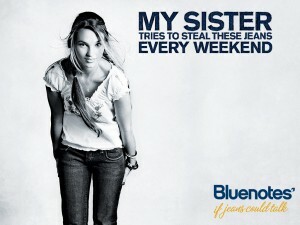 Maybe this one is just so effective on me because I have four sisters; I can relate. This ad addresses a woman’s never-ending search for the perfect pair of jeans. If your sister wants to steal these, they must be goooood. 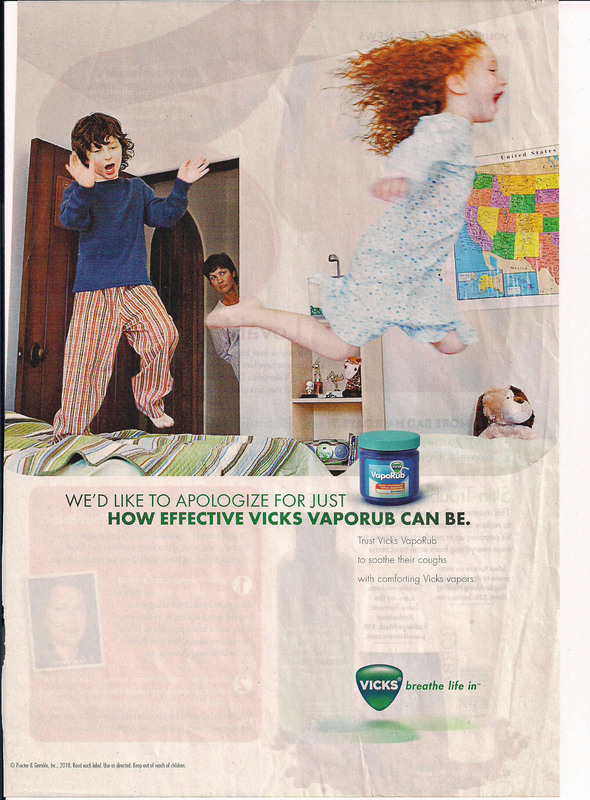 “We’d like to apologize for just how effective Vicks Vaporub can be.” What a combination. This ad has a great emotional appeal. What parent wants to see their active child lying listless? It also clearly shows how effective their product is. 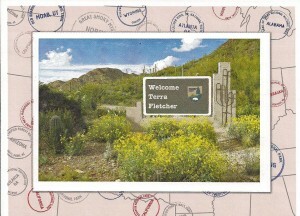 This postcard actually was addressed to me! It says, “Welcome Terra Fletcher.” The back looks like a handwritten postcard welcoming me to the Grand Canyon and Smoky Mountains. What can I say? People love seeing their own name. I’ve seen a similar idea that put the recipients name on the front license plate of a sports car. That’s the stuff that fuels daydreams. “Will the Internet kill magazines? 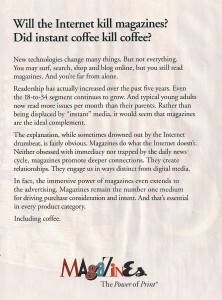 Did instant coffee kill coffee?” This effective, logical headline got me to read the entire ad. This ad is simple, but a different kind of simple – not as visual as most of these ads, but easy on the eyes and it addresses the question advertisers have been asking themselves. By the way, none of these are ads I’ve designed. I have (in my humble opinion) put together some pretty great pieces for myself and for my clients. The hardest part for me to design a marketing piece is when I’m limited by the company I’m working with. We are so worried about offending, being misinterpreted, or NOT looking like everyone else – that our ads are BORING! Don’t be afraid to be bold. Be different. Get noticed. A really inspiring resource is Outrageous Advertising, That’s Outrageously Successful by Bill Glazer. It’s a really easy read with lots of images. What are your favorite ads? Why do they work? And importantly, do you remember the company associated with them?